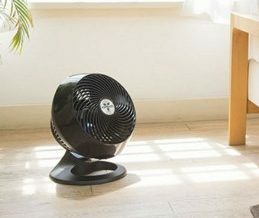 Vornado 660 is a room air circulator that is efficient enough to distribute complete air circulation in a big size room. It is upgraded model of Vornado 460 & 560. It is a perfect model that has embedded Vortex technology to offer perfect air circulation with blades that are deep-pitched to distribute air up to a distance of 100 feet. The incredible chrome glide bar offers complete regulation over airflow with a 4 speed setting. It is not as noisy as other brands. It is also ideal for winter use or even if you have AC at home. It can be installed new open door or window which amplifies its efficiency to absorb the cool air in and distribute it all over the room. The article will help go through the review of Vornado 660 and indeed you will be able to understand why it is known as Vornado 660 whole room air circulator. 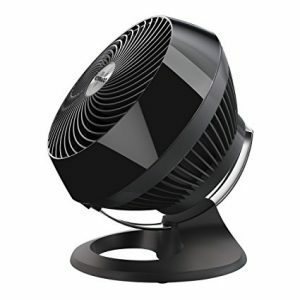 The Vornado 660 review will help you understand the details about the product. The Vortex technology embedded in Vornado air circulator fan is efficient enough to distribute air in whole room evenly. There is a perfect airflow pattern built using this technology that moves the air speedily and evenly in your room. With the help of ceiling pathways and walls, the Vornado 660 ensures air circulation to each and every corner of your room no matter what furniture you have in your room. You will get cool air circulated into your room and maximum cooling levels are maintained for you to experience cooling effect. You don’t have to come where the airflow path is because Vornado 660 help distribute the air in the whole room evenly. All the above settings adhere to the necessary standards of other devices. The model also has combination of drive and AC motor and also drives + DC motor. The speed settings are especially designed to enable smooth adjustability to regulate the speed of the blades and these settings range from whisper to quiet to turbo. You can use the controls to make the process easier and you can find the controls right towards the top of Vornado air circulator. The best thing about Vornado 660 is its tilt ability in both horizontal and vertical position smoothly inside the chrome glide; air spins faster due to vortex technology so that the air can cover maximum area. The Vornado 660 can easily regulate the airflow direction because of its efficiency to tilt up by chrome glide up till 90 degrees. 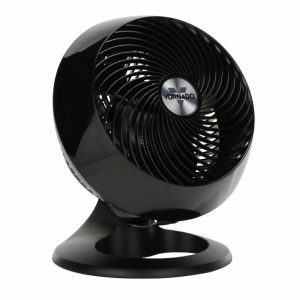 The Vornado 660m comprises of a sturdy spiral grill that improves the air flow helping air to move to longer distances. 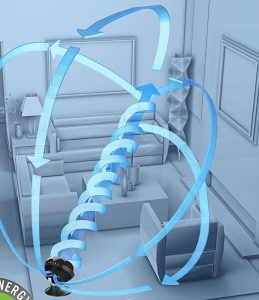 It accompanies a special feature known as twist feature that presents a spiral effect letting the air to go up to each and every corner in the room. The grill is remova ble so that you can clean the blades easily. Deep-pitch circulator blades to maximize airflow. The deep pitch blades in the circulator is one of the most significant feature in Vornado 660 and it is designed really well to optimize the airflow throughout the room. The aim is to let the air reach 100 feet height. The blades can be cleaned easily by simply detaching the screws from the blade. are encompassed inside a cylindrical duct that basically shapes air into a column of high velocity. The column smashes through cold & hot areas smoothly and in turn regulates the temperature balance. y by utilizing minimal energy. At lower speed it consumes 43 watts, at medium speed the energy consumption is 50 watts and at high speed it is 53 watts and the input voltage is 110V AC. It indeed helps you save energy and also save money spent on energy bills. The blades Vornado 660 air circulator & motor are engineered to resist different temperature conditions. They are highly durable and are environment friendly. As compared to other products in competition, Vornado 660 is not easy to assemble post cleaning. Also, you will find it difficult to detach the back cover and then clean blades present along the covers and reassemble it again could be a daunting task. Like many other traditional fans, Vornado 660 is also little noisy and when you increase the speed you may notice increase in noise too, thus it is not recommended that you install it in your bedroom or any other area where you relax. The Vornado 660 has a 5 year warranty wherein you get warranty for replacement of parts, damage repairs or any related defects associated with the errors of the manufacturer. room in less time. So, when you are inside your room you know that you will get a cooling effect because of this air circulator and no matter where you are seated you will experience a cool breeze instantly. It can be little noisy, still worth investing in. Besides a couple of cons, Vornado 660 review has defined major features and pros that this fan offers and which is why it stands out from the rest of other brands. None of the products can be 100% perfect still this model promises durability, vortex technology, energy efficiency and wonderful performance that can give you a cooling experience that you would love. ©2018 FansGuide.net All Rights Reserved.